Hi, I’m Dr. Trent Douglas with Restore SD Plastic Surgery. I’m joined today by my partner… Dr. Katerina Gallus. Today we’re going to talk to you about liposuction, using the SAFE liposuction technique. SAFE lipo technique is one that we use at Restore SD Plastic Surgery. It stands for separation of fat, which is done with a power assisted cannula, aspiration, which is pretty much standard for all liposuction. Then importantly, fat equalization. In which again, using specialized cannulas, the fat remaining after liposuction is equalized to provide a smooth contour. With this technique we can provide aggressive liposuction and skin tightening. It’s important to realize that liposuction is a body contouring procedure and is not designed for weight loss. The ideal patients have localized areas of fat and are already at a healthy weight, and engaged with a good diet and exercise program. It is also important when seeking out liposuction procedures that you consult with Board Certified Plastic Surgeons and make sure that your care and procedure is taking place at an accredited facility. One of the key ingredients to getting an outstanding result from your liposuction procedure is post-op use of your compression garments. When you come see us at Restore SD Plastic Surgery, we will measure you and get you fitted for your compression garment. 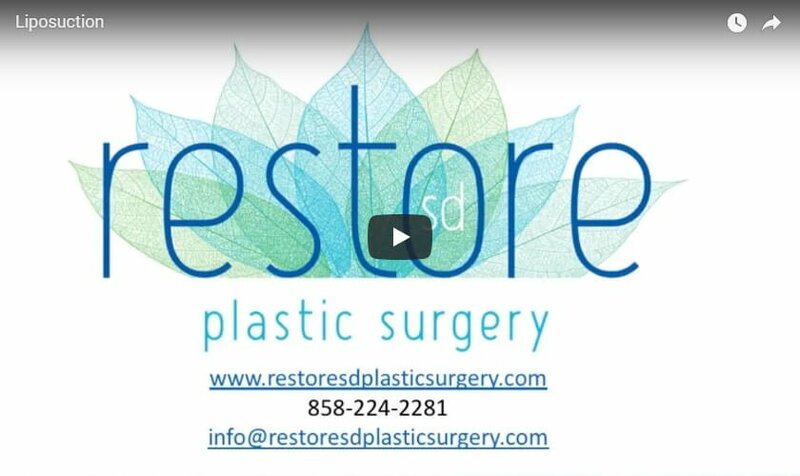 We look forward to talking to you more about SAFE lipo and other procedures at Restore SD Plastic Surgery.